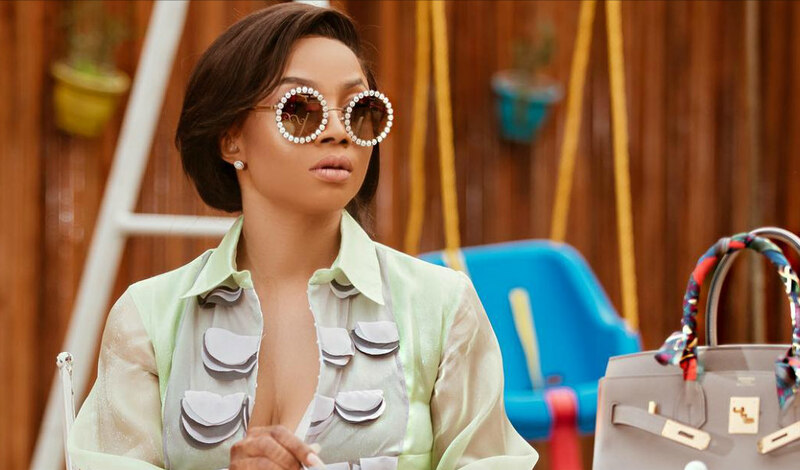 Nigerian media personality and style star, Toke Makinwa took to her vlog, Toke Moments, to reveal all the things she must have during a glam session as she shared behind the scenes moments of an actual glam session with her fans. The self-crowned queen of glam never disappoints and she has her creative team to thank for that. For this creative shoot, Toke’s makeup was done by none other than her preferred makeup artist, Anita Brows. Styling was done by Harvella of Harvella Styles, while Felix Crown was behind the lens. New York-based creative director and makeup artist, Moshoodat was also part of Toke’s glam squad. 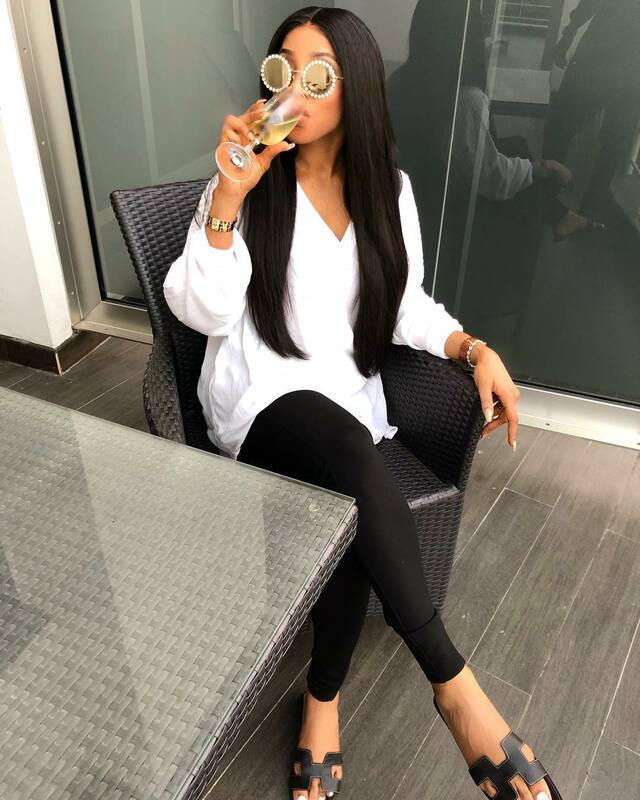 What 5 things must Toke Makinwa have during her glam sessions? Well, no one says no to a good bottle of bubbly, especially after you are done with all your work. Food is an integral part of Toke’s session because she said she starts to have a headache when the shoots start if she is yet to eat. To cover up her tired looks, she asks Anita Brows to double her lashes. Doubled lashes make her eyes pop! Great conversation is a must! This she does by chatting up with the members of her team. For Toke, this could mean anything. She definitely leaves things up to her glam team and trusts them to do right by her. On this, they never disappoint as her Instagram feed can prove. We can’t wait to see the final images from what appeared to be an amazing shoot.